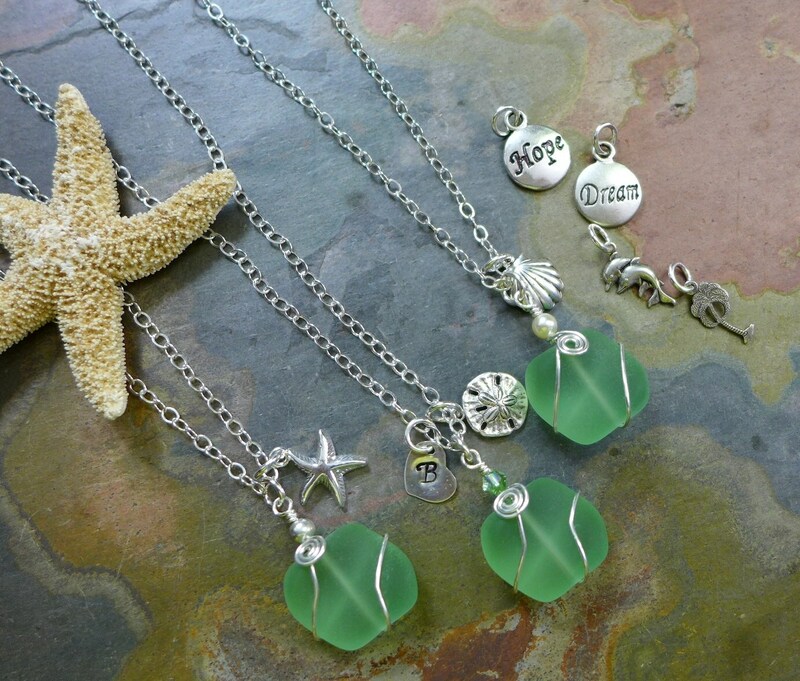 Gorgeous Sea glass Beads in shade of beautiful green !!! 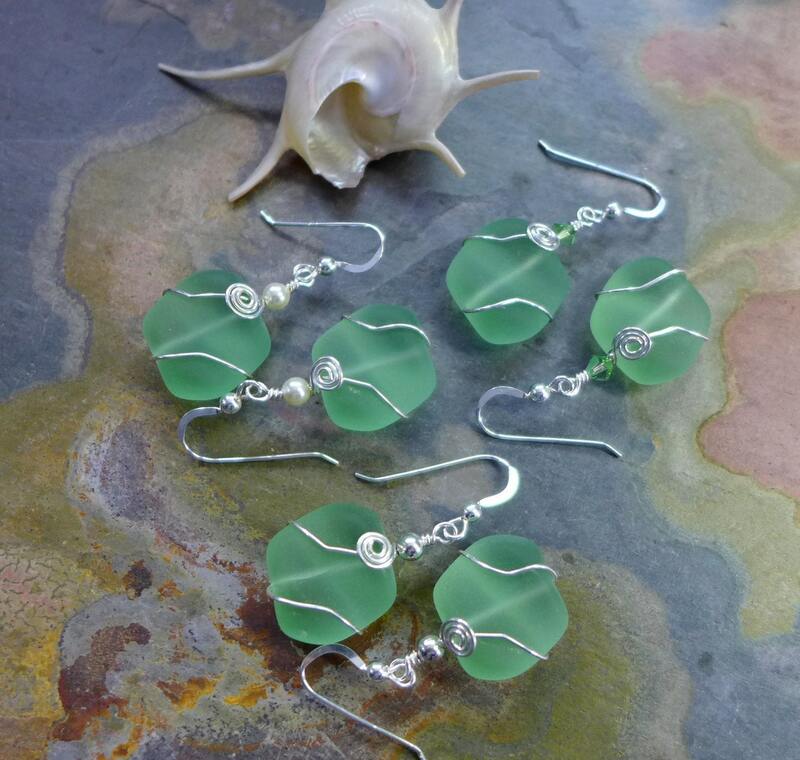 This is my new collection: recycled /cultured Sea glass jewelry. 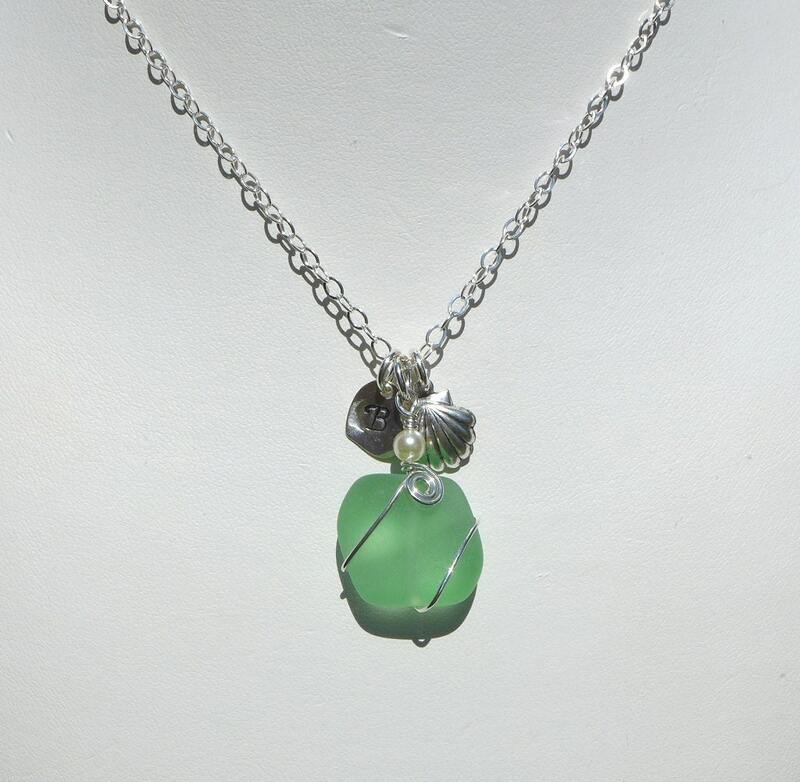 The same soft qulity as found in natural sea glass. 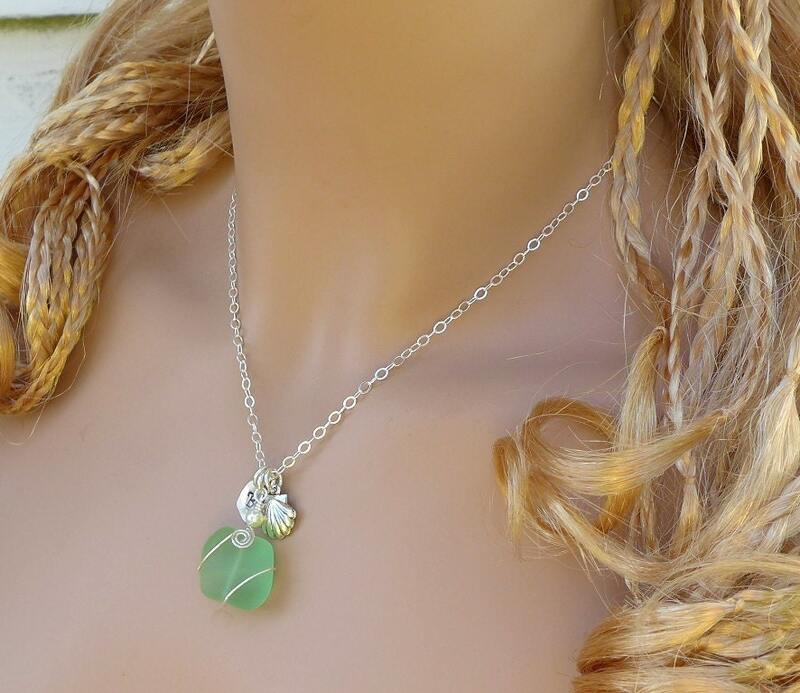 These necklaces are made with .925 sterling silver wires on recycled unique, wavy nugget sea glass beads approximately 18 x 17mm mm. Available: You can personalize your necklace by adding 10mm sterling silver heart hand stamped with your choice of initial. 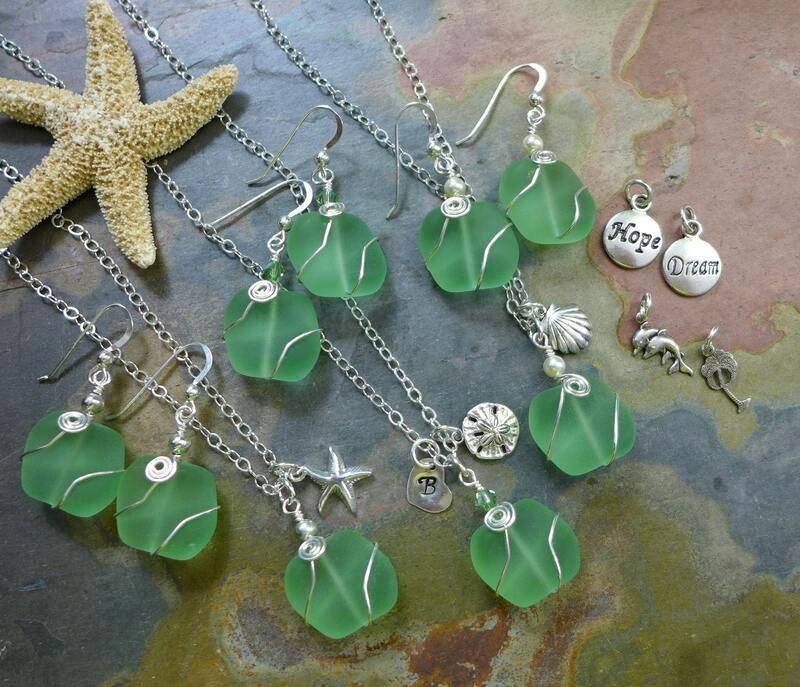 Each sea themed charms are sterling silver plated & antiqued finished which measures about/under 1/2 inch. ~~Please be sure to include your initial of choice in the "message to seller" box at checkout! This shop is excellent. I received my item and I was highly pleased with the quality and time that was taken to make this gift absolutely perfect. The shipping was very fast and the packaging was top notch. I highly recommend this shop for any important gifts you may need. Thank you so much!